Talented apprentice carpenter skilled in many areas of construction-related jobs ready to be right hand of experienced carpenters watching learning and assisting in the field. Ready to perform a variety of construction tasks unsupervised when needed. Performed tasks such as removing debris putting tools away etc. There are plenty of opportunities to land a Apprentice Carpenter job position, but it won’t just be handed to you. Crafting a Apprentice Carpenter resume that catches the attention of hiring managers is paramount to getting the job, and LiveCareer is here to help you stand out from the competition. 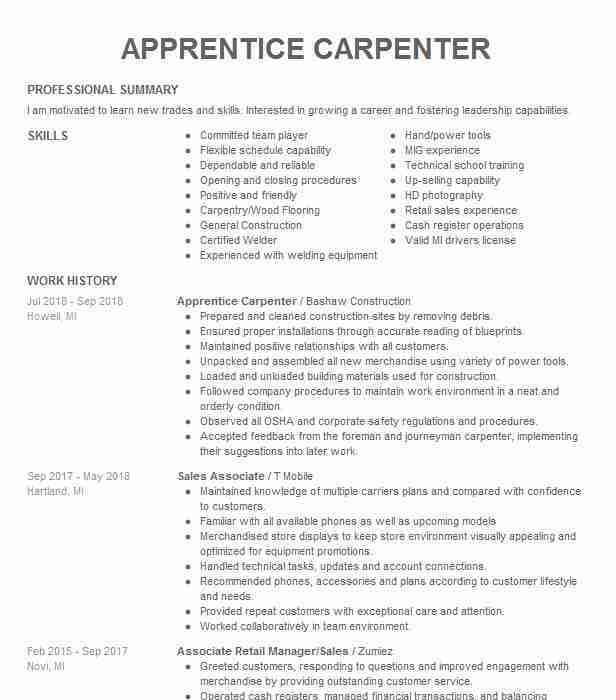 Looking for a position as an apprentice carpenter? 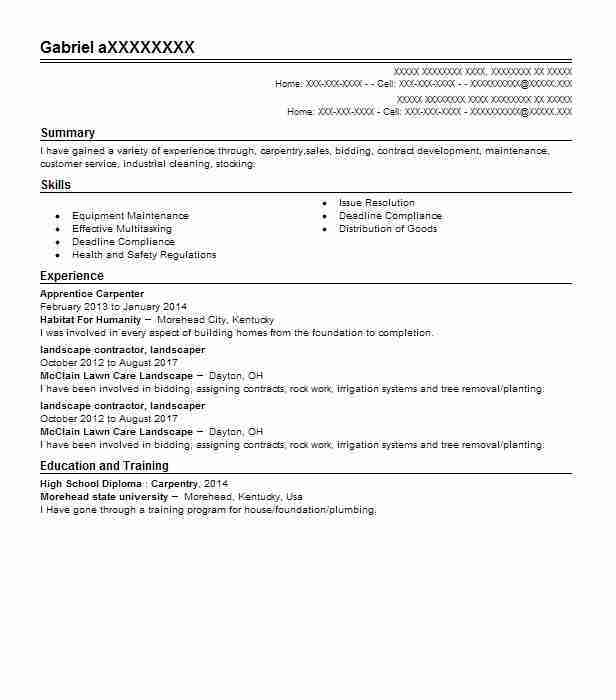 The resume examples below can help you create a resume that will help get you hired faster. 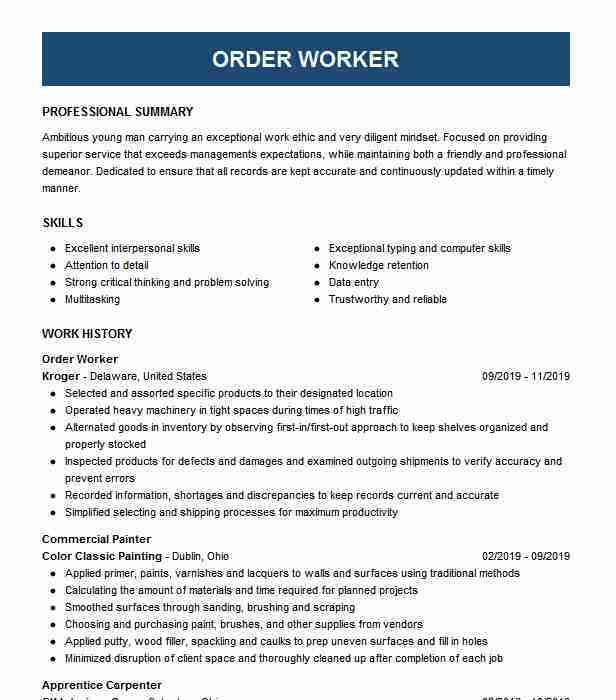 We’ve created these resume examples specifically for your career needs, and you can use them as a guide as you write your apprentice carpenter resume. Get started today and take the next step toward a solid career as a skilled professional. Click on any of these examples now. Finding jobs as a Apprentice Carpenter takes a combination of determination and a positive outlook, as well as honed skill sets for job searching and interviewing. Consider these tips while searching for the next step of your career. 1. Hone your social media presence. Profiles on LinkedIn and other business profile sites can be helpful for positive exposure. 2. Make sure you follow up on all leads. Hiring managers are very busy, and until you get a definite no, you are still a potential yes. 3. While you are searching for that perfect full-time position, you may be able to do contract work to fill in the gap. This is not only good for you financially, but will help to fill in red flag gaps in your resume. 4. Constantly network. A combination of online communications and face-to-face events provide many opportunities to showcase your best self to potential employers. 5. Study professional journals in your field for the latest industry news. This will keep you relevant, and the research provides for great additional talking points in interviews that can be very impressive to hiring managers. When you are looking for jobs as a Apprentice Carpenter, a resume of top-notch quality is a must. From format to content, this personal showcase can make you rise about the competition with these following do’s and don’ts. 1. Do phrase your experience as accomplishments rather than duties. This is a more meaningful way of showing your skills to a potential employer. 2. 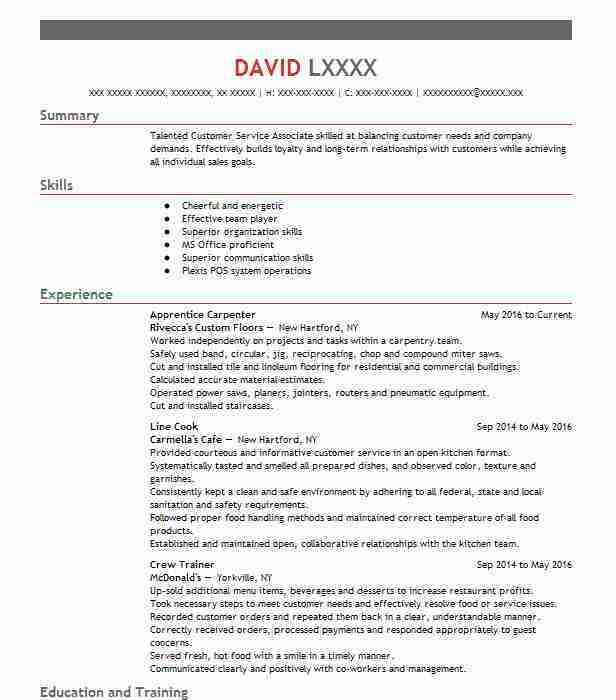 Do consider a resume format separate from standard Microsoft Word templates. But it still should remain clean and readable with consistent formatting throughout the document. 3. Do proofread very, very carefully. A spelling and grammar check through your word processing program is not comprehensive. 4. Don’t emphasize older experience. Positions that are more than 15 years old should either be listed very simply, or in a separate area titled ˜Previous Professional Experience’. 5. Don’t lie on your resume. Period. Summary: I am motivated to learn new trades and skills. Interested in growing a career and fostering leadership capabilities.